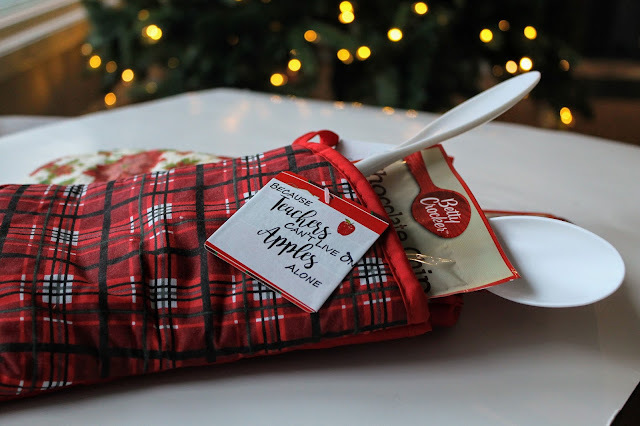 One of the many traditions we had in our family growing up was to give our school and church teachers a little Christmas gift. Most years it ended up being a candycane with a little tag. But we LOVED giving out this small treat to say "thank you". 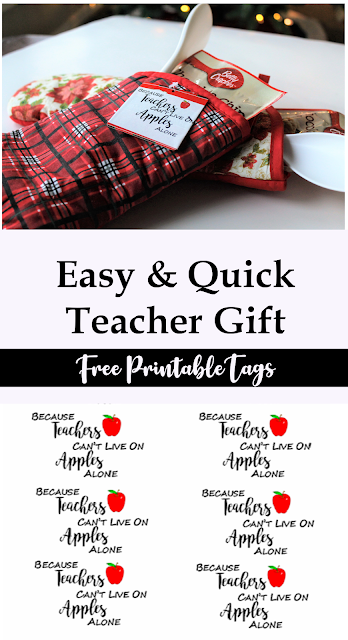 This is a tradition I have continued on with my children with these printable teacher gift tags. Because teachers are SO important. I mean who else is going to put up with your kids for hours and hours each day and STILL love them. Other than you of course. Of course, I figured my children would have a teacher or two. Little did I know!! My son has 2 school teachers PLUS about 5 aids AND his bus driver and bus aid. Then he has his 2 church teachers and we can't forget his gymnastics teacher. So for just him we need 12 gifts!!! So of course I wanted something simple, inexpensive but also meaningful. That's why I love these printable teacher gift tags. 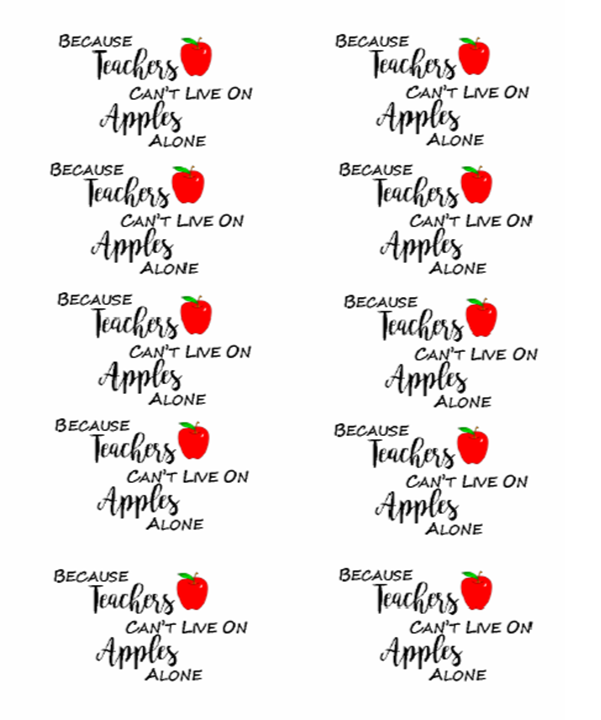 I've seen this quote before and knew it would be the perfect addition to this fun little project. I mean, honestly, can any really live on just apples? NO!! We NEED cookies or brownies. And if you are on the apple only bandwagon, I apologize, but I gotta have my brownies. The greatest part about this project, my children could help put them together and all I have to do is print. Click on the supplies above for links to items I used for my project. Many of the supplies I purchased I got from our local dollar store. 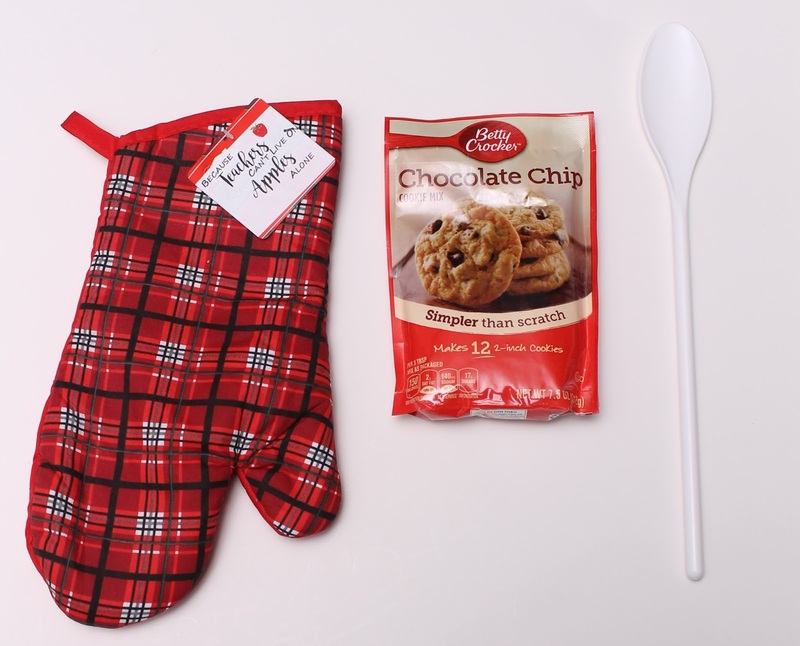 Once you've got your supplies, simply assembly them by tucking the cookie mix and the spoon into the oven mitt. 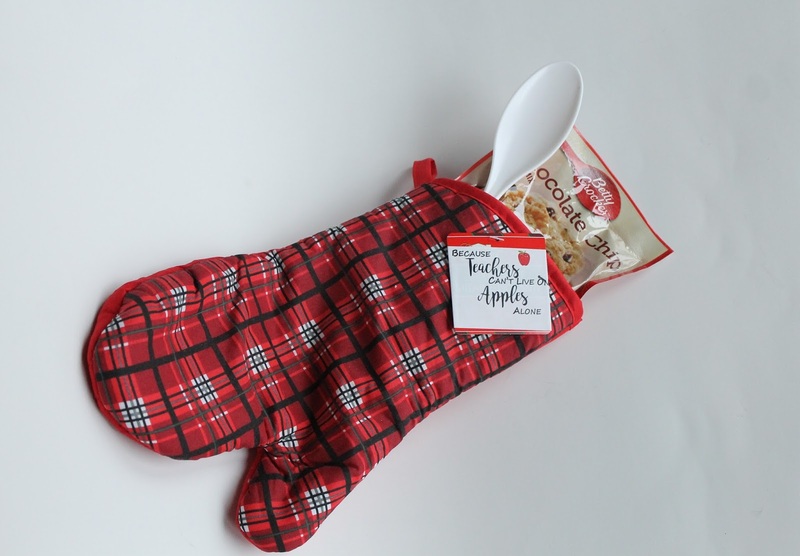 You can also use a pot holder that has a pocket. That would be super cute. I loved how simple and sweet this gift is. Plus, I know as a former teacher myself, getting a small token of thanks from a student makes you feel so good. 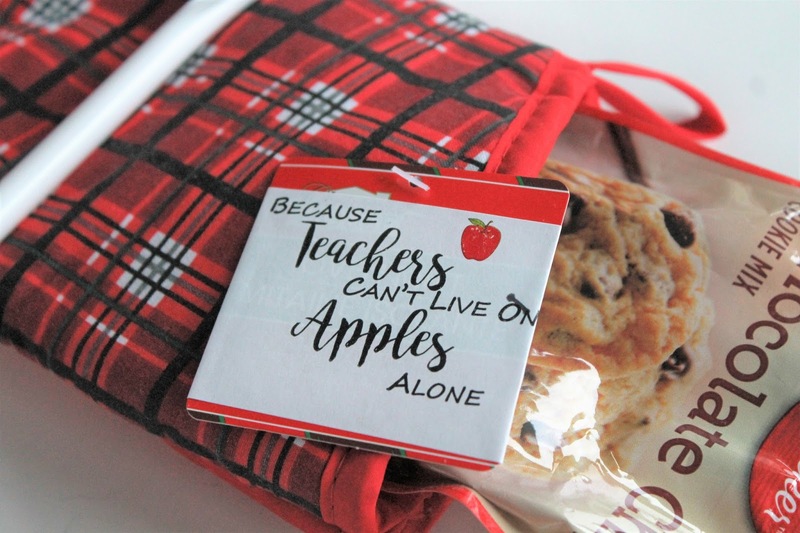 So go celebrate and thank the teachers in your life with these printable teacher gift tags.